Owner Kevin Cherry agreed Thursday to the permanent closure. KNOXVILLE, Tennessee — The Vibe nightclub, linked to two fatal shootings this year as well as numerous reported disturbances, has been permanently shut down by agreement. 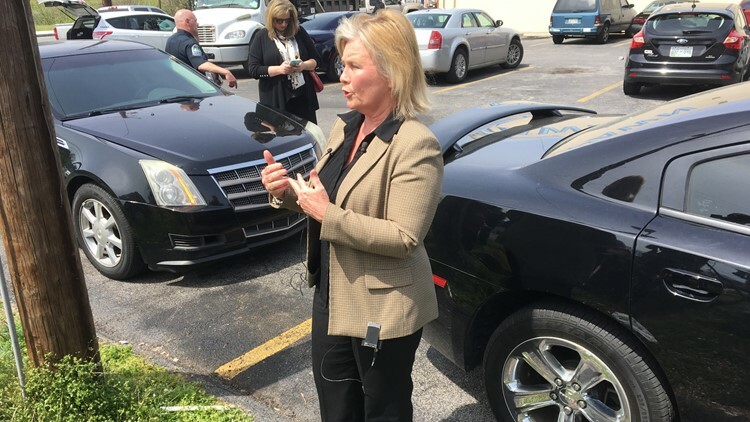 Owner Kevin Cherry appeared Thursday morning in Knox County Criminal Court and agreed with the Knox County District Attorney General's Office to the closure. Judge Bob McGee signed the permanent injunction Thursday. Last week, the DA's office and Knoxville police deemed the club at 2630 N. Broadway a nuisance and closed it after receiving numerous complaints. Late-night crowds that gathered there in recent years led to frequent calls for service by police. Neighbors said noise from patrons outside the club kept them up at night and made them fearful of violence. A man was shot and killed early New Year's Day this year after going there. Early March 31, a woman waiting in a vehicle to get food at the nearby Krystal restaurant was killed by a stray bullet that police say came from the direction of the club. Before opening the Vibe, Cherry operated a club on Chapman Highway in Knoxville that the DA's Office shut down. Cherry rented the upper and lowers floors at the property, owned by Drumheller Real Estate Management Partnership. The main club, featuring music and a bar, was on the first floor. Boards and padlocks can now be removed from the site so that Cherry can remove any of his property, according to the order. "Under no circumstances shall the property be opened for business by (Cherry)," the order states. Cherry also must surrender his city beer permit. Drumheller, by agreement, can lease its property to anyone but the Vibe or Cherry going forward, the order states. Drumheller also agrees to let the Knoxville Police Department or DA's Office run criminal background checks on potential tenants before signing a lease.